Tell me about your style of photography and what it’s like to work with you. My goal when photographing weddings is to capture joy and to capture all of the special details that make your day yours, and no one else’s. While I’ll be certain to get all the must-have shots, like you coming down the aisle, your first kiss, and your first dance, I’ll also be focusing on the little moments in between the big events, and all of the personal touches that you worked so hard on as you planned your wedding. I shoot almost exclusively with available light until the reception, and pose with the goal of keeping you looking natural and like the best versions of yourselves. When you book me to photograph your wedding day, you’re not only getting a photographer, but also a cheerleader, confidant, and consultant. I am on your team and am available to walk through the wedding planning process with you from start to finish. If any questions come to mind as you plan your wedding, I strongly encourage you to reach out to me and your other vendors to seek guidance. 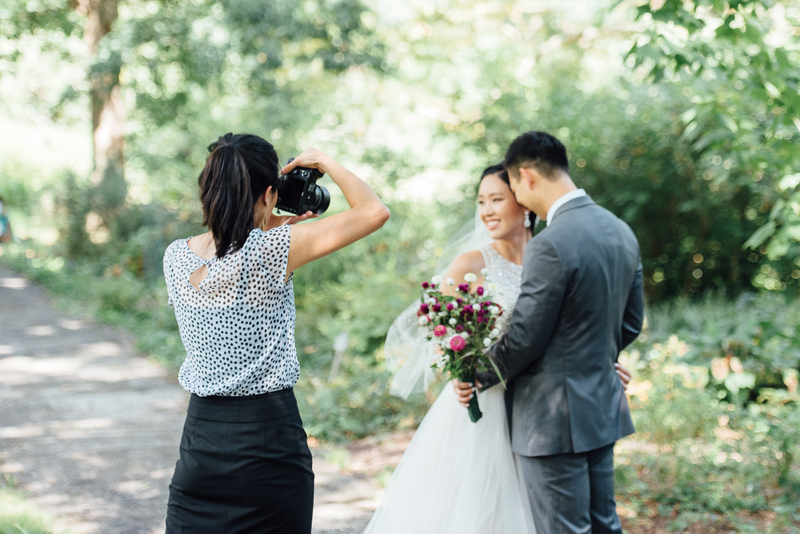 I’ve seen it all (and if I haven’t, one of my trusted colleagues has), and am more than happy to weigh in if you’re torn over a wedding decision, photography-related or not. One month before the wedding, I’ll send you a questionnaire to capture all the information I need about your wedding day to shoot effectively and intentionally. This includes lists of family portrait combinations, day-of contact information, and more. 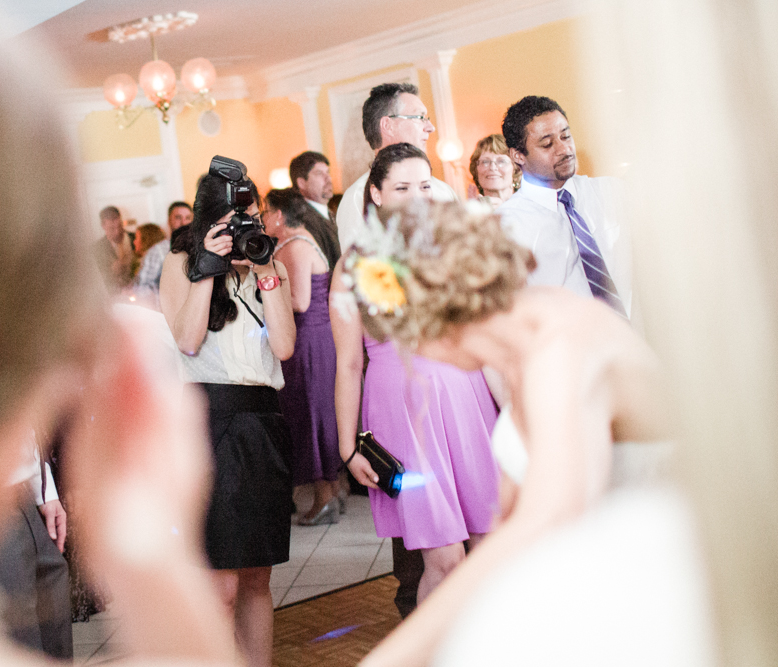 This questionnaire is due two weeks before your wedding day, and is immensely helpful in helping me capture your day! On the day of your wedding, you can count on me to be there for you. 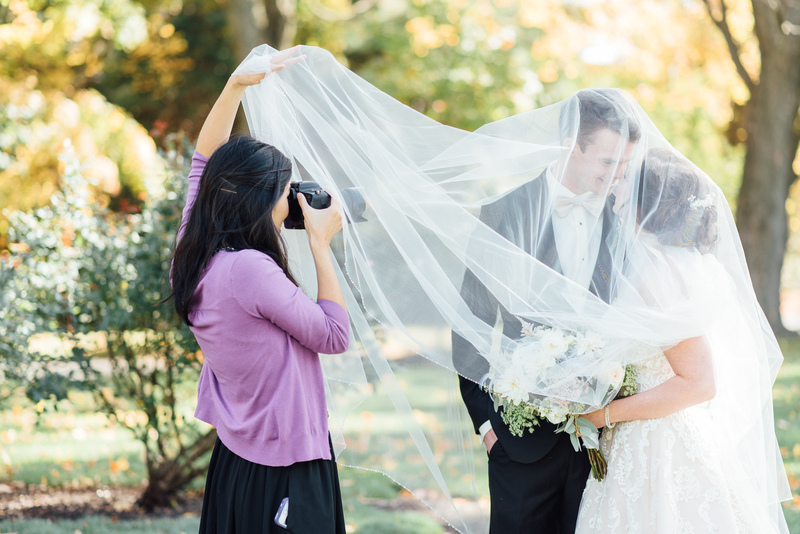 This of course means that I’ll be photographing the story of the day, but in addition to being your eyes and capturing your memories, I’ll be holding your grandma’s clutch, pinning up your flyaway hairs, and helping in any other way you need. Like I mentioned above, I’m on your team, and want the amazing day that you planned to run as smoothly as possible! How should I pick my wedding photographer? First, I believe that couples should LOVE the work of their photographer and feel like they can trust them with their memories. Relinquishing control and trusting your photographer builds up their confidence and allows them the freedom to be creative in their documentation, which means an even better finished product for you. We want to do our best for you, so relax and enjoy your special day, and we’ll make magic for you! But along with loving the artistry of your photographer, I think it’s so important that you really like your photographer as a person. 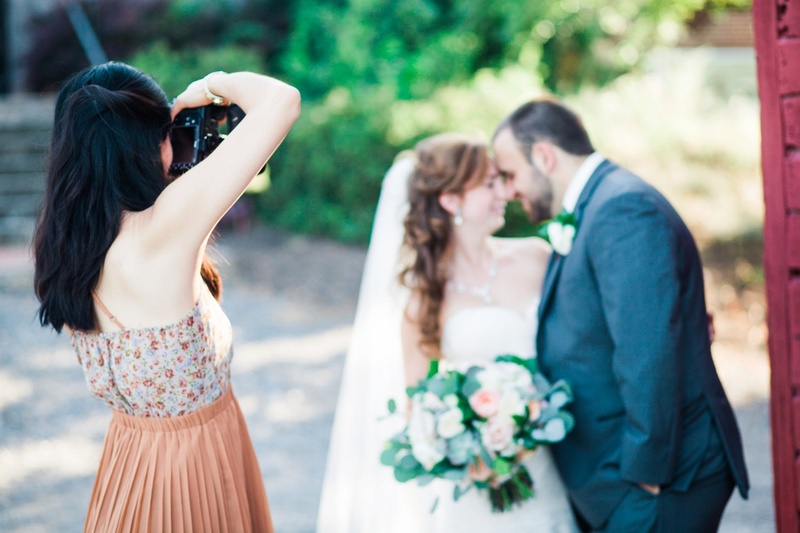 Your photographer is with you all day and you’ll want someone whose personality meshes well with yours! This means that I might not be the right fit for every couple who comes my way, and that’s okay! How many hours of coverage should I book? Let’s talk! I’m happy to sketch out a timeline with you and your fiancé to figure out how many hours of coverage would be right for you. We’ll walk through your priorities and map out a day that highlights what’s important to you and minimizes stress. While it may seem early to start writing out your whole timeline, it’s helpful to start building a framework to identify trouble spots as early as possible, and before wedding invitations are sent out with times that can no longer be adjusted. It’s up to you! First looks often provide some of the sweetest images of the day, and help ease nerves before the ceremony because you’ve already seen each other! They also help make more relaxed timelines because all the photos are out of the way by the time the party starts, and you won’t have to squeeze everything in and miss your cocktail hour. 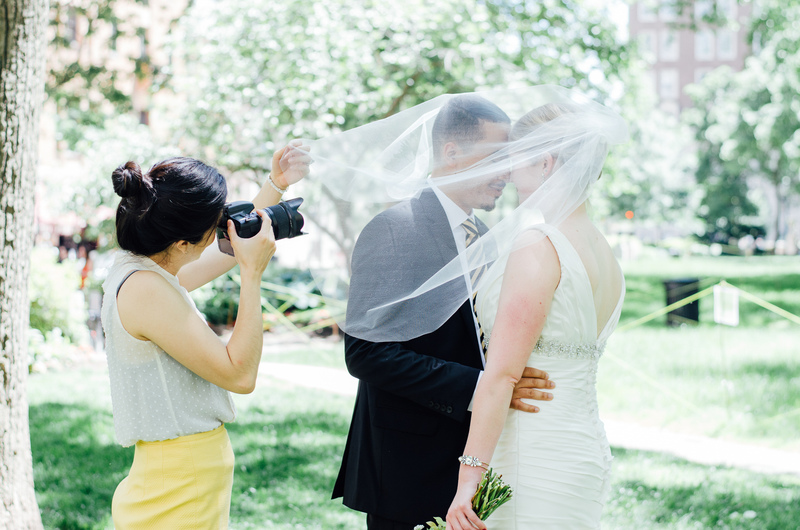 That being said, I completely respect any couple’s desire to stay traditional, and I have a few tips that can help you get all the photos you want without rushing around. That’s up to you! Second shooters help capture images that fill out the coverage of your day by offering another perspective. About 80% of my clients choose to hire a second shooter, and I shoot the rest by myself, usually with the help of a non-shooting assistant. Are engagement sessions included in all wedding collections? Yes! I include an engagement session in each wedding package as a complimentary gift to all of my wedding clients because I’ve found them so helpful in helping establish trust between my clients and myself. Our session is a wonderful time for us to get to know each other, and for you to get comfortable with my style of directing and posing. Since there’s usually limited time for pictures on the wedding day, my clients don’t have to waste any time jumping into their portrait time confidently; they’re already used to being in front of my camera and following my guidance! I typically deliver 75 images per hour of coverage. This is just an estimate, but if anything, you’ll receive more than 75/hr – never fewer! Within 4-6 weeks at most, but usually sooner ;) And you’ll see sneak peeks of your images via social media & my blog the week after your wedding! Do we get downloads and printing rights? Absolutely! I believe in letting my clients have access to their images so that they can share them online with friends and family whenever they want, and so that they can continue to make prints of them years down the road. Your images are delivered via a beautiful & sleek online gallery that allows for unlimited hi-res downloads. You can order prints directly through your gallery, but since you’ll have printing rights, you can take them to the lab of your choice. It’s up to you! You’ll also be able to share the link to your gallery with your guests, who will also have the ability to buy prints or download the images for free. Our wedding isn’t in Philadelphia – do you travel? Yes! I include travel within 50 miles of Philadelphia for weddings and within 25 miles for sessions, and a per-mile fee is added outside of that radius. Contact me for more details! Will you help us pose for our engagement session and wedding portraits? Of course! I know that many people (especially grooms!) cringe over the idea of having their picture taken because they imagine a photographer following them around awkwardly or putting them into cheesy, forced poses. I promise it’s not like that! I’ll coach you the whole time, from where to stand so that the light is flattering, to what to do with your hands. My goal is always to help you achieve images that look natural and capture you as yourselves. Do you have liability insurance? Backup equipment? Yes and yes! And so do my second shooters! Yep! And there’s a discount if you order your albums at the time of booking. Contact me for details! We’re in! How do we book? Your date is officially booked with a signed contract + 30% retainer. E-mail me at alison[at]alisondunnphotography.com to get started on a contract!